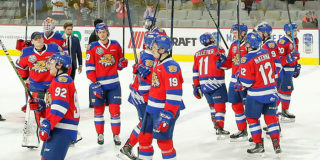 The Moncton Wildcats will play their second and final game of the weekend as they attempt to bounce back after a tough shootout loss last night, as the Halifax Mooseheads visit the Avenir Center tonight for puck drop at 7:00 p.m. Today is the seventh game against Halifax this season. The last game against our Maritime rivals was at Avenir Centre on January 26, ending in a 5-3 loss for your Wildcats. 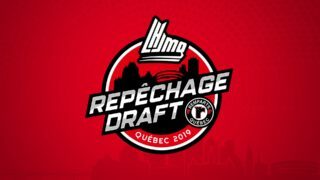 The Mooseheads (35-11-2-1) who won their game yesterday, 8-2 against the Sherbrooke Phenix are also in their second and final match of the weekend. They currently have 73 points, placing them fourth in the league with a playoff spot, while Moncton (26-17-3-4) is ninth with 59 points. In the Maritime Division, Halifax is in first place with an 8-point lead over the team that precedes them while Moncton is in the top four and is one of only three out of six Maritime division teams that are still in the playoff hunt. The Mooseheads come into tonight having won 7 of their last 10 games. 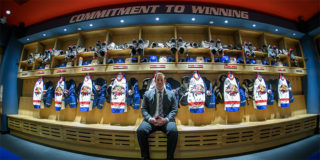 Get your tickets for tonight’s game online at www.ticketmaster.ca or at the Subaru Moncton counter at Center Avenir. 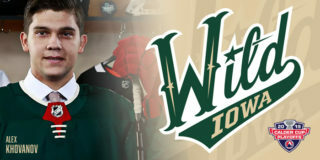 The Wildcats forward, Jeremy leading his team and fifth in the league in terms of goals – 32 goals and 41 assists. 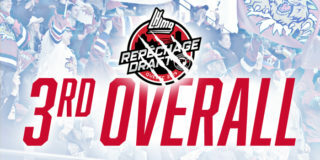 Of these 73 points, 7 were against the Mooseheads. Halifax-born Ozzie King and Christian Huntley will also face their hometown team tonight. Mooseheads forward Samuel Asselin is first on his team with 67 points, 39 goals and 28 assists. He is the top scorer in the league. Goaltender Alexis Gravel is the third overall goaltender in the league with 24 wins and a .911 save percentage.